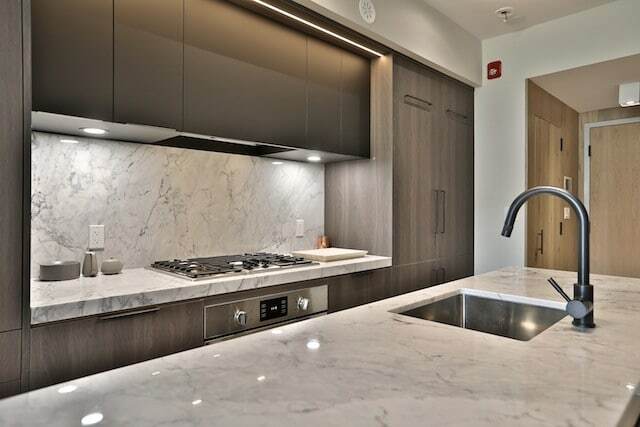 It was a pleasure to market and sell this unique infill project – and the suites have certainly lived up to the promise. 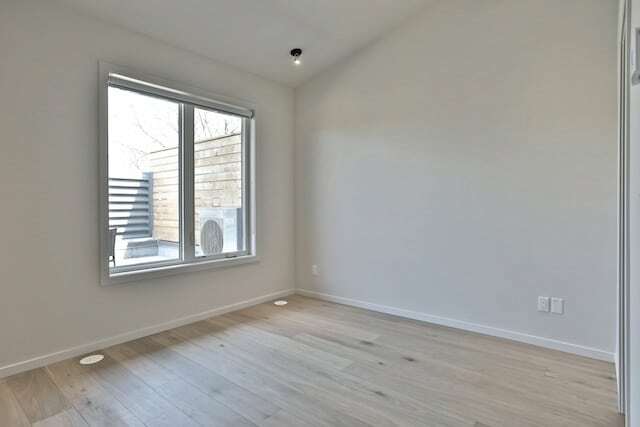 Rarely available, and never lived in, this spacious 2 bedroom laneway property is ideal for someone seeking a quiet, distinctive and spectacular space. 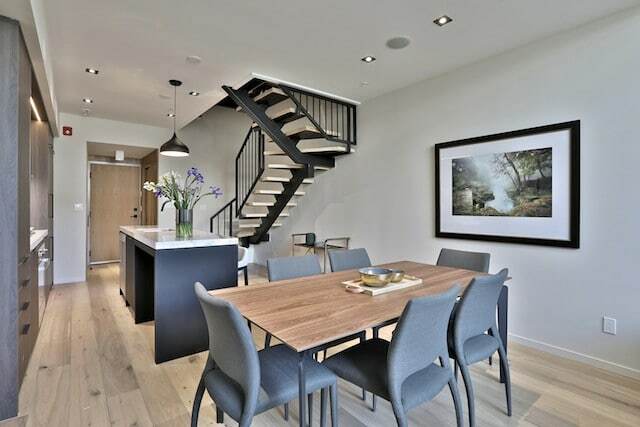 The main floor features infloor-heating, with a custom gas fireplace in the living room. 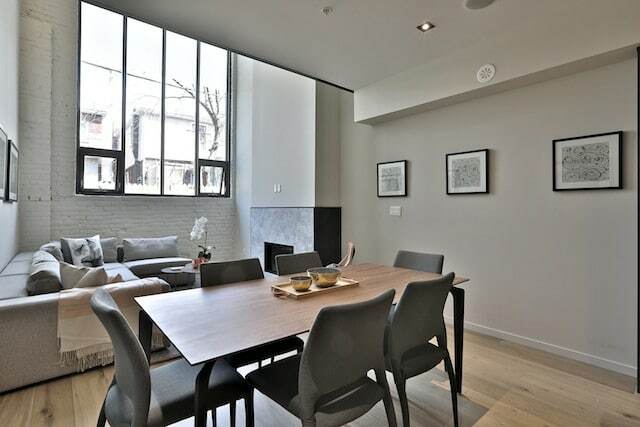 The double height ceiling introduces amazing natural light, with a full-sized dining room ideal for entertaining. 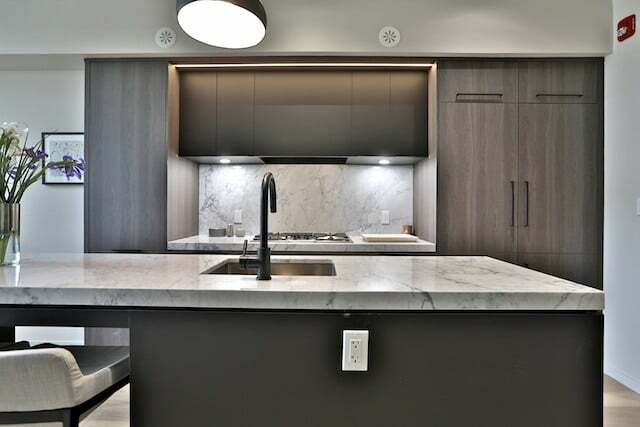 The kitchen includes premium built-in appliances, a generous pantry and an eat-in island perfect for the home chef. 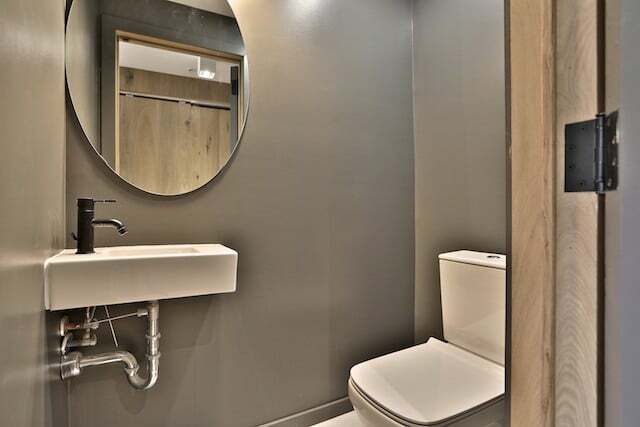 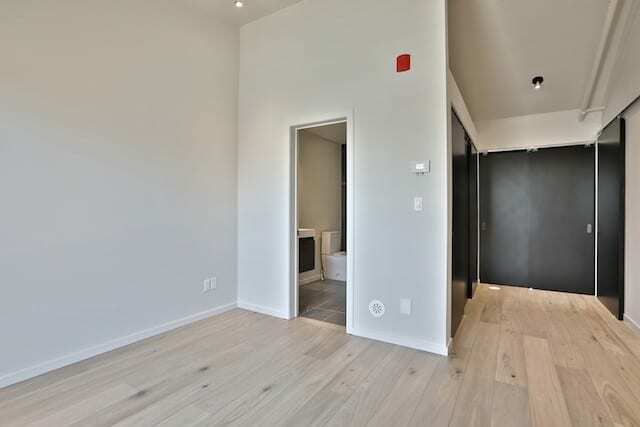 A discrete powder room is also located on this level. 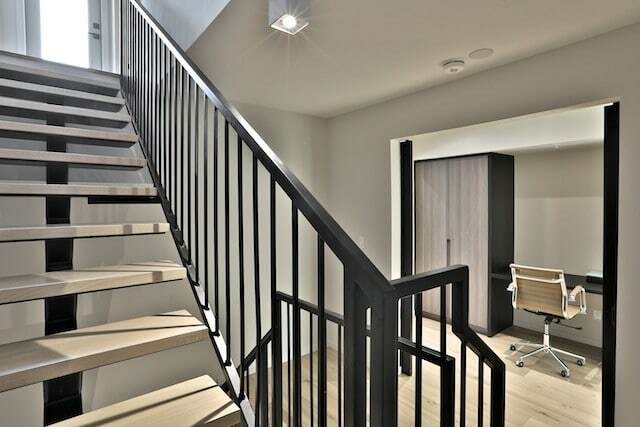 The second floor presents a large master suite. 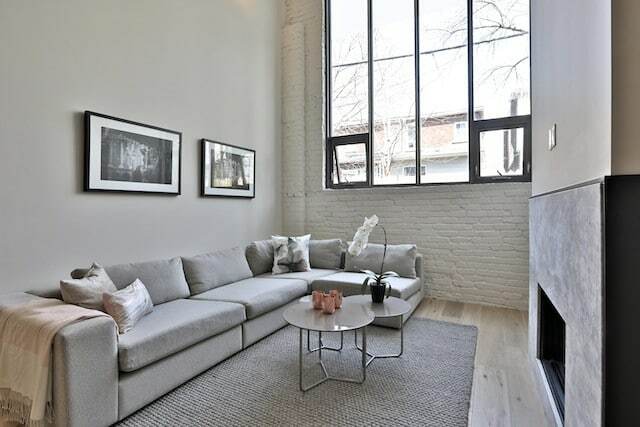 The master bedroom overlooks the main floor living space, with floor-to-ceiling glass. 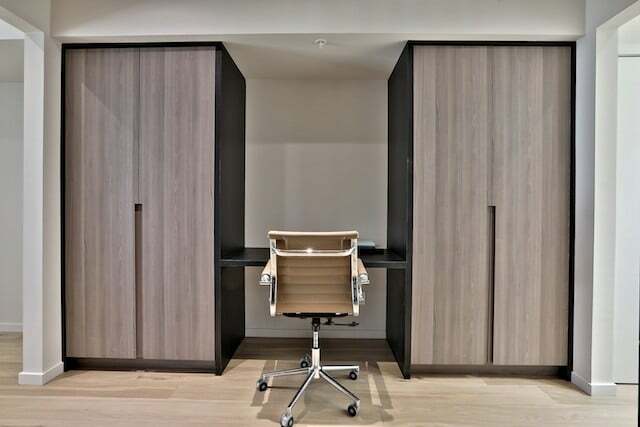 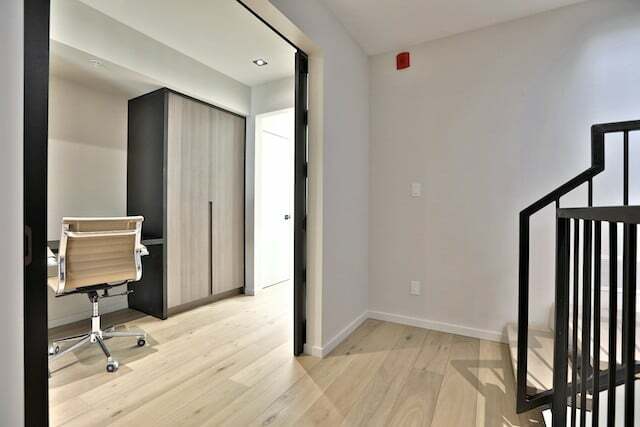 Extensive built-ins offer generous closet space, as well as a den with built-in desk as a home office. 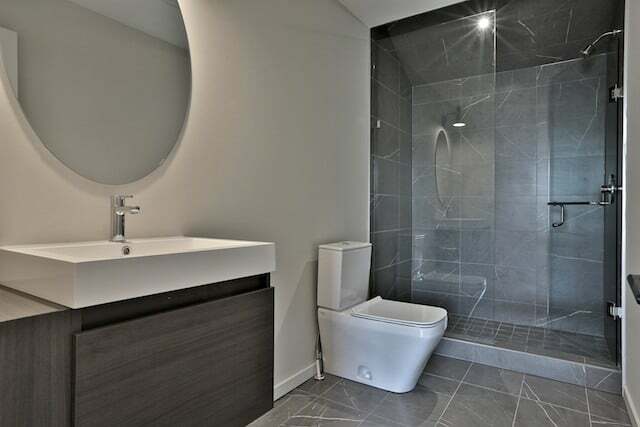 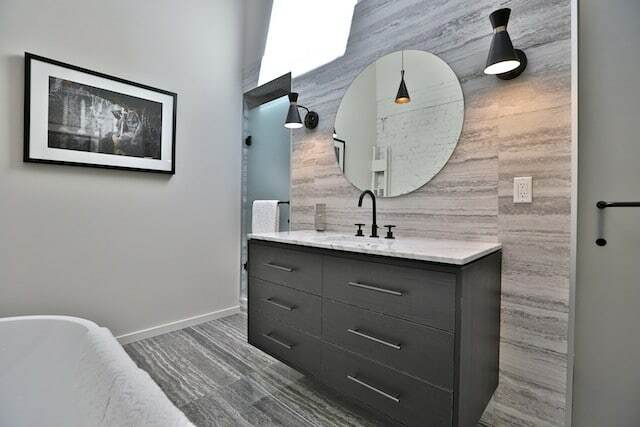 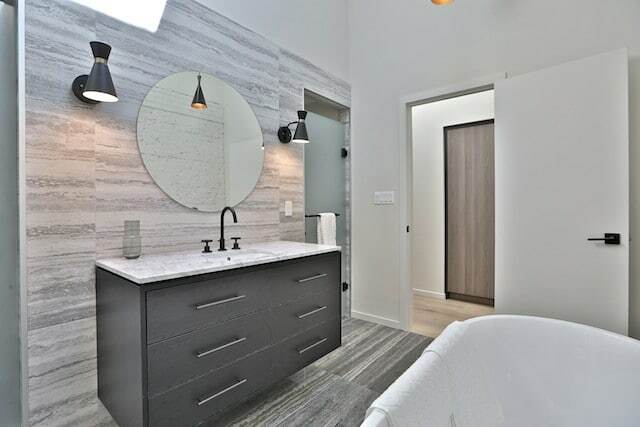 The master ensuite is a luxurious space with a large soaker tub, walk-in shower and skylights. 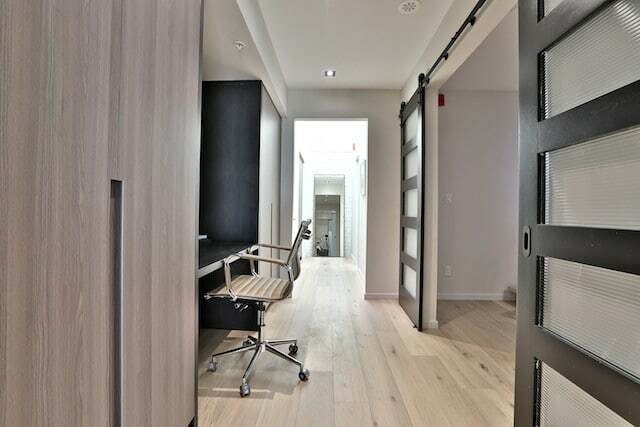 Upstairs is a full 2nd bedroom, with its own ensuite and abundant closet space. 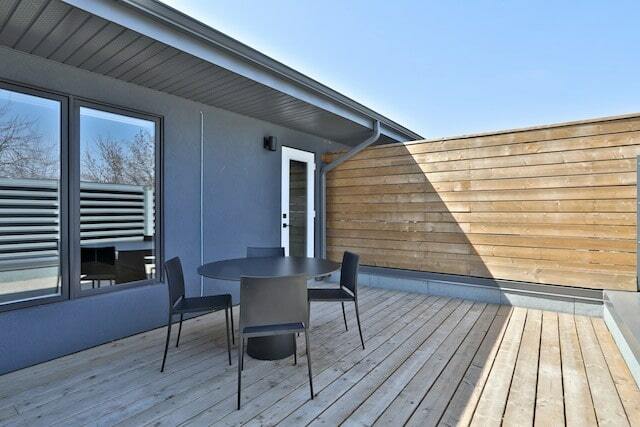 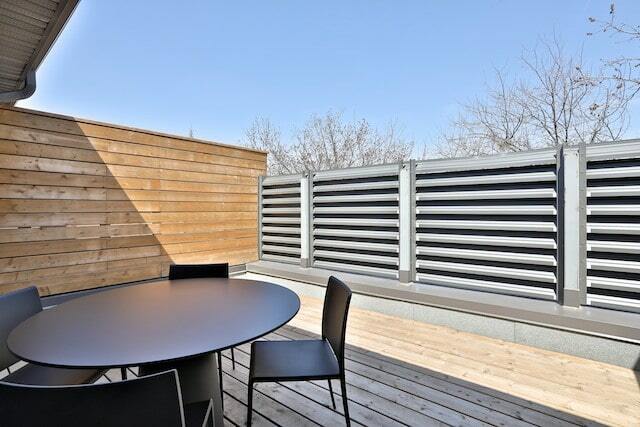 On this level is also the private rooftop deck, with gas connection for bbq – ideal for quiet evenings with friends. 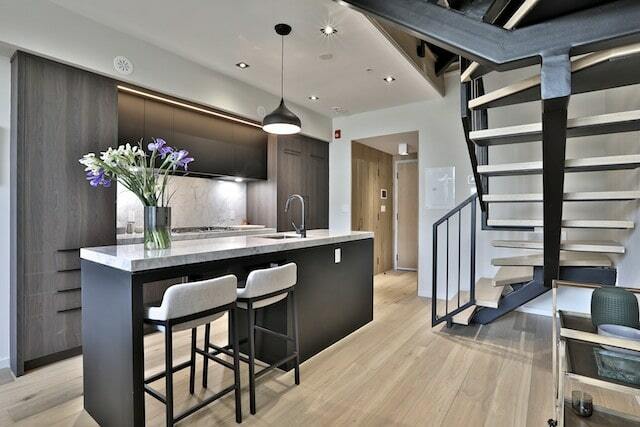 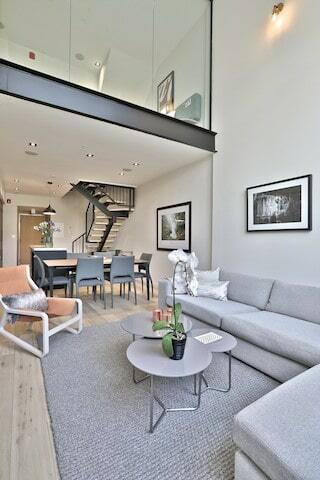 This loft is offered mostly furnished and includes indoor parking for one car.